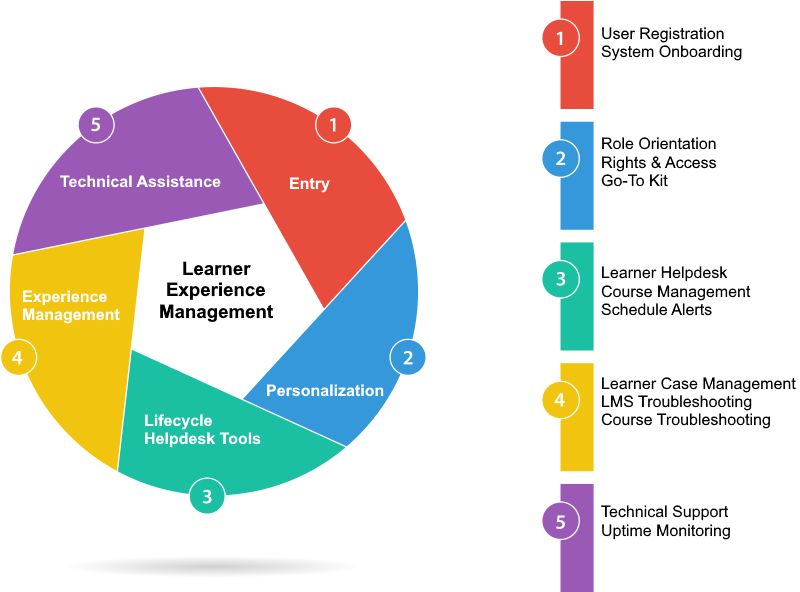 Which benefits do L&D organizations expect from managed learning services? Customer emotion is the #1 factor in customer loyalty. Treating employees as first-hand customers helps CLO teams increase employee or student loyalty throughout their learning lifecycle. Traditional managed learner service models often emphasize the utilitarian aspects of effectiveness and ease rather than emotion- how interactions make customers (employees and students) feel. At Forward Eye, we are helping CLO teams implement a managed support model that focuses on the learner’s emotional experience. Hybrid Engagement Model. A combination of onsite and offshore resources to maximize operational value. Forward Mobilization Approach. Initiation- Stabilization- Expansion is our three stage mobilization approach that helps rapid fine-tuning of the processes. Multi-touch Governance Components. As mentioned above, multi-touch point governance policies help in increasing productivity standards. The CLO-CMO-CTO Round Table™. Beyond the desk ‘multi-channel’ support- phone, email, web, and mobile. Our Forward Mobilization approach enables a seamless setup, and services transitioning with minimal disruption to the client’s business. Contact us to estimate the resources needed to expedite your managed processes.